Why Does My Dog Keep Urine Marking? Ever wondered why your dog has a tendency to urine mark every lamppost in the neighborhood whenever you take him for a walk? Urine marking is a form of scent marking that most mammals do in one way or another. Dogs often leave scent marks on vertical objects, e.g. lampposts or bushes, to inform other canines of their presence. They might even urinate on another dog’s feces to override that dog’s scent mark. So what’s the importance of urine marking? This behavior is mostly exhibited by male dogs, and untrained males may be inclined to scent mark inside the house as well. While this can be quite a problem, it can be corrected with proper training. The more dominant a male dog is, the more testosterone he has, hence the stronger his urge to claim his territory by urine marking certain areas, such as your home and garden. Dogs are very territorial animals; they will claim ownership of a territory as well as defend it. In the wild, canines live in packs. They move around and don’t usually stay in one location, therefore they’ll claim whatever area they’re in as their territory by urine marking. This is why your dog constantly puts his scent down whenever you go for a walk. You can easily tell the difference between urine marking and regular urination by the amount of liquid your dog releases. Urine marking involves a small amount of urine and usually occurs after your dog has examined the area by sniffing out other dogs’ scents. After scent marking a spot, your dog may also start digging the ground next to where he has urinated. This creates a visual sign that lets other dogs know he has left his scent there and asserts his dominance over the area. 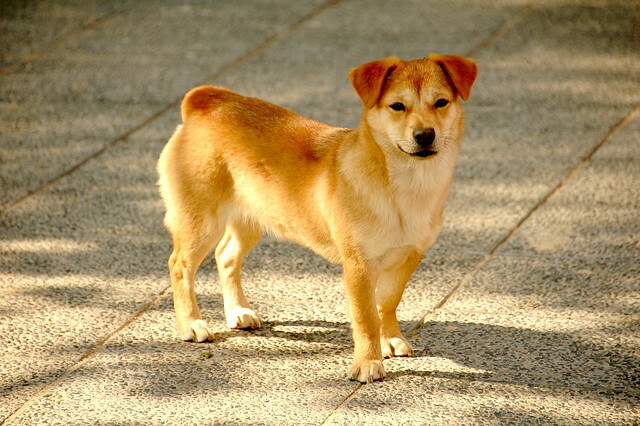 Younger male dogs that have not reached sexual maturity yet will not scent mark too often. And even when they do, their markings contain little traces of dominance. However, this changes when they mature sexually. This form of urine marking is important to canines as it allows them to claim the right to an area and gives them confidence. When there’s a new dog in the neighborhood, the resident dogs will typically urine mark more frequently to re-establish their ownership of the area. Female dogs sometimes also leave scents to notify males of their sexual status.